In Dayton, OH it has still be hitting 90+ degrees, but according to the weather forecast, we should be getting cool weather soon. I'm happy to see the heat go, but I am going to miss all of the great fruit and veggies that are available in the summer. 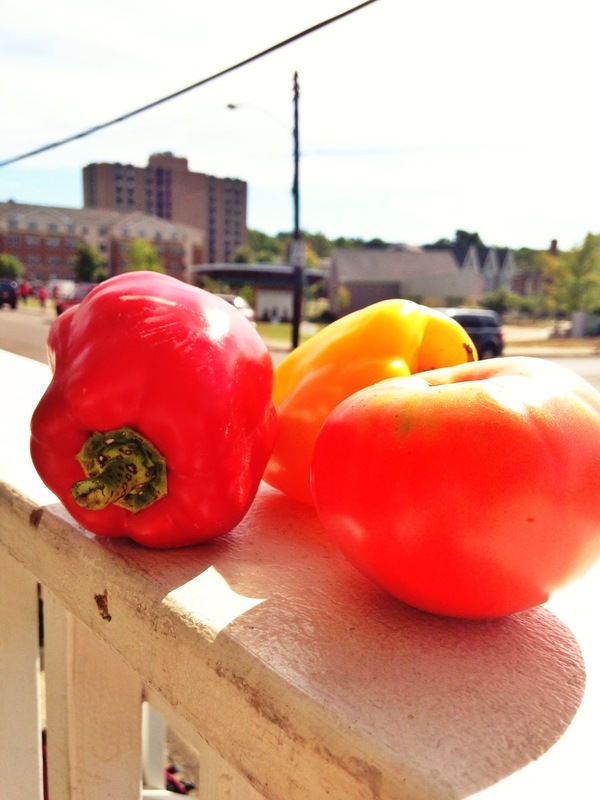 Last Friday, my university's Sustainability Club held a farm stand selling local vegetables across the street from my house. Above are the peppers and heirloom tomato that I picked up. I've used the peppers on a pizza and in a mexican dish I will be sharing soon, but the heirloom tomato was really something special. Yesterday, when it hit 95 degrees, I was too hot to eat much so I made a simple caprese salad. 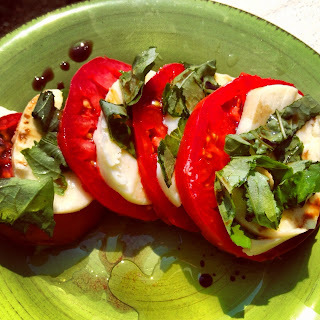 I had local mozzarella from 2nd Street Market, fresh basil, and some middle of the road olive oil and balsamic vinegar. The flavors I got out of that simple dish were truly incredible. I'm going to miss the lovely flavors of summer, but I can't wait for fall. I'm ready for pumpkin and apple baking :) Please comment with any ideas for fall dishes that you would like to see on Katy's Kitchen.